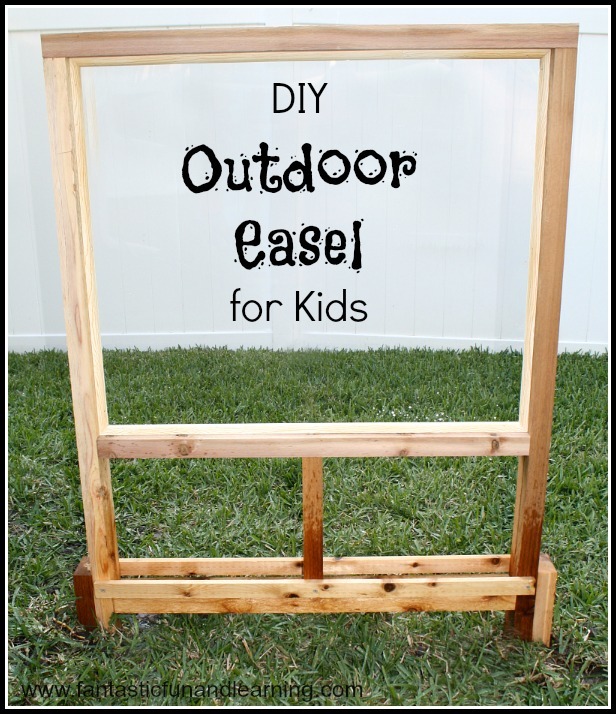 Back in the spring my husband made an amazing outdoor easel for the girls to use, and we’ve been using it for all kinds of activities ever since. Lovey thought Daddy set her up a runway to practice singing and dancing (our next project?!?). Shortly after this photo was taken Tinker joined in, and well…let’s just say we were politely sent to play elsewhere. So I don’t have a full tutorial to share with you, but I thought I would point out some of our favorite features of the easel my husband made. I’d also be happy to answer any specific questions you have about ours, if you try to make this one on your own. If you would like a full tutorial, I recently saw this one from Tried & True. 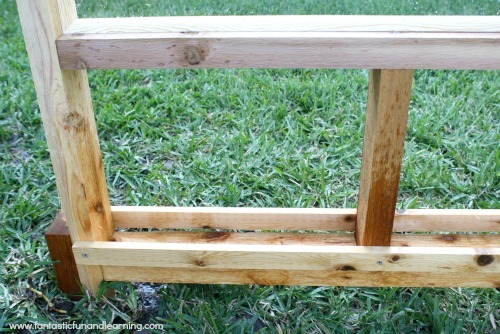 Their easel is different from ours, but the tutorial includes all the specifics for you to make your own. The tray that he built at the bottom comes in very handy. The girls are able to place their paints, brushes, window markers, or whatever writing tool they are using in the tray. Tinker especially loves this because she does not like grass in her paint…we’ve learned that the hard way. My husband also left the posts that go into the ground long and adjustable so that we could raise the height of the easel as the kids get taller. Smart guy, right!?! Some days we paint directly on the Plexiglass and then spray it off with the hose. When we do this I add a little dish soap to the paint to make it a bit easier to wash off. Other days we tape paper to the easel and make creations that we want to keep. We also use our window markers and spray bottles to create on the easel. 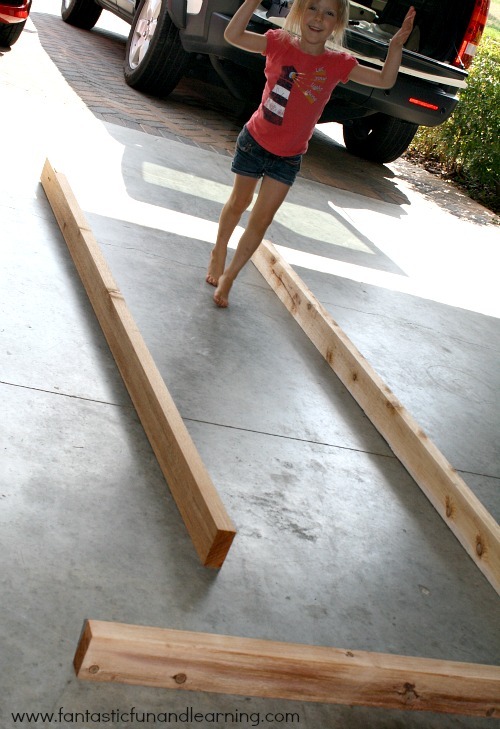 As the girls get older and we keep score for backyard games, we can keep track right on the easel, too. 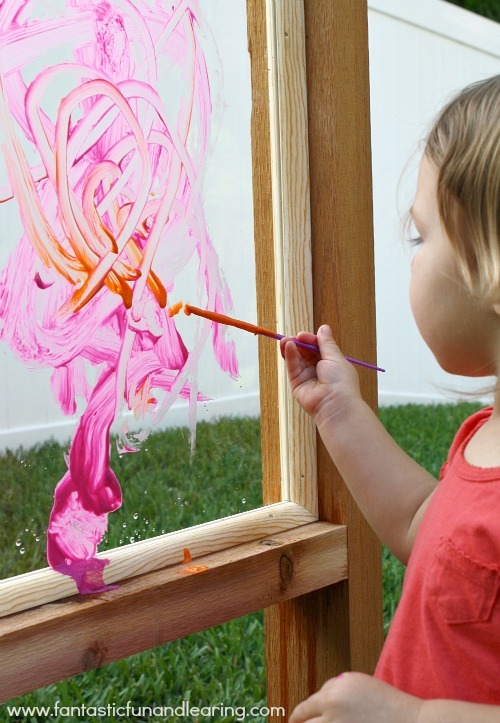 What other activities and artwork would you create on an outdoor easel? 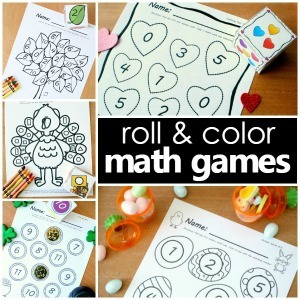 I’d love to have some new ideas to try as the weather gets cooler again this fall. Great question! Do not use acrylic paints unless you want the art to stay on there. We mix a little dab of dish soap in with our regular washable tempera paints. Then when we are ready to wash it off we just spray the whole easel with the hose and do a light scrubbing…which the kids usually enjoy “helping” with. We also use washable window markers on the surface. This is gorgeous! I really need to get my husband on to making something similar! Yes, do! Send me a picture if he does. I’d love to see what your version turns out to be. 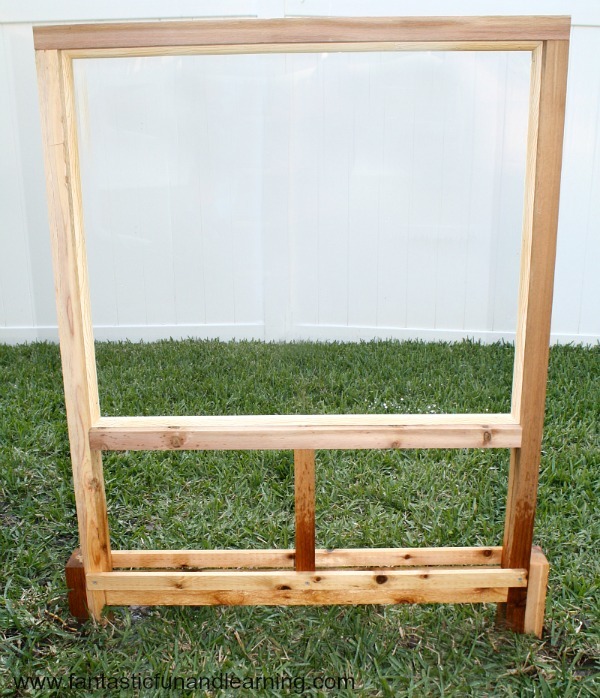 I’ve been wanting an outdoor easel for a while now. Yours looks amazing, Shaunna! I really have to get my hubby to make one for us. There’s so much we use it for. I can’t imagine not having one now. When he makes it, I’d love to see what you two come up with! What a great idea! I want to go out and paint on it! I do! 🙂 It’s the perfect height for me to sit in the grass next to the girls and paint away while watching the clouds go by…just lovely! I love your easel. I will have to see if I can get my husband to build me one! Awesome! I’d love to see pictures of your easel when he does. Ooh, I love the idea of making it a scoreboard for games! Had never thought of that! I’ve had this project on our to-do list for awhile…you’ve motivated me to get started! Get to it! 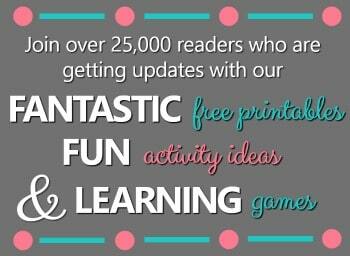 😉 The kids will love it, and I can’t wait to see what kind of craftiness you guys come up with when you have your own.